Krishna Kumari – An actress well known for her looks and talent at the same time. 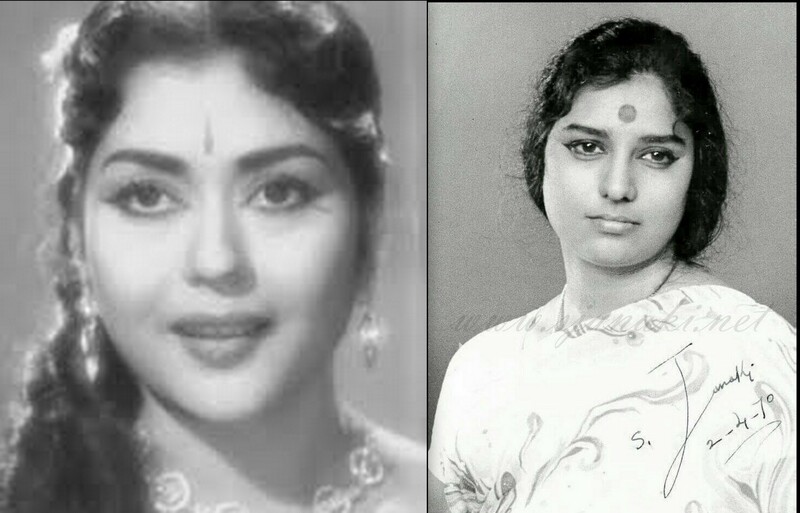 She was extremely successful in Telugu and Kannada cinema for a period of 2 decades with rare appearances in Tamil and Malayalam. 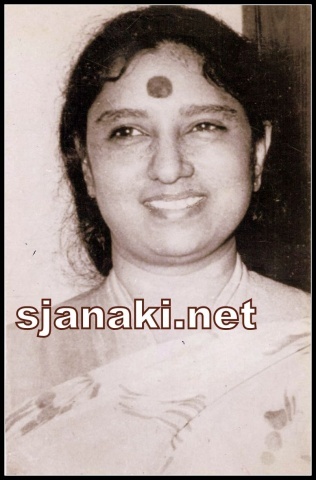 S Janaki sang for her in almost all of her Kannada movies and in few Telugu movies as well. Sharing 10 of the best songs that came in this combination as a humble tribute to Heroine with mettle – Krishna Kumari garu.. Although Dr Rajkumar sir was hero of this movie, Swarna Gowri was a story that was heroine oriented. Krishna Kumari played this role like none before and earned a permanent place in history of Kannada cinema. This movie was remade in Telugu as well .. Janaki amma gave playback in both languages with gems of compositions by M Venkataka Raju … Best of the lots undoubtedly is ‘Jaya Gowri Jagadeeswari’ which came as ‘Jayameeve Jagadeeswari’ in Telugu. Again a great duet from Raj Kumar-Krishna kumari. Although this song is a solo by S Janaki, prelude sung by PBS sir made it one of most memorable PBS-Janaki duets in Kannada. Excellently composed by M Venkata Raju sir ..! What a composition by G K Venkatesh sir! If previous song had a memorable prelude by PBS sir, this song is blessed with an enchanting prelude by Janaki amma with eternal beauty of Krishna kumari on screen ..
Aggi Pidugu had an all time hit musical score by Rajan Nagendra and this song in particular is easily one of biggest hits of Ghantasala – Janaki hits / NTR- Krishna Kumar hits .. Interestingly, respected heroine acted with mighty NTR in around 25 movies, most of which are super hits at box office.. Dubbed version of this song (Innum Innum idu) is equally enchanting where Janaki amma shared mike with TM Soundarrajan sir..! Devanthakaudu was a social fantasy movie where Krishnakumari teamed up with NTR to give another memorable performance. Aswathama composed a memorable musical score with this movie with PB Srinivas and Janaki all the way .. Best of the album is this classic duet .. Legendary actress Shavukar Janaki (sister of Krishnakumari) played this role in Tamil. ‘Bhalira Neeventha Janavavura’ is a lovely solo of Janaki in this movie ..
Kalavari Kodalu with music composed by T Chalapati Rao had only one solo by Janaki. It was a lyrical beauty praising the greatness of Friendship .. This Veena song is one of personal favourites of S Janaki. Interestingly, This is another moon song (with a wonderful vocal prelude) from Kannada movie ‘Sati Savitri’. Sati Savitri is an evergreen musical from G K Venkatesh with Janaki amma singing almost all the songs .. Selecting just one song from this movie is such a difficult task..! A romantic melody from Swarna Gowri .. Magical score by M Ventakaraju and beauty of S Janaki – Krishna Kumari together takes us to some other world..! Ending this playlist with this lovly solo sung in a melodious playful mood …! Many other Telugu melodies like ‘Oho sundara prakruthi (With Ghanatasala – Paduka Pattabhishekam)’, ‘Ravoyi Raja ( With PBS – Simhachala Kshetra Mahima)’, ‘Chinnari Ponnari Vennala raasi * Simhachala Kshetra Mahima)’, ‘Oke Mata Oke Mata adagana cheli (With PBS – Edureeta)’, ‘Jeevitham nee vintham (With PBS – Chaduvukunna Bharya)’, Sannajaji cheli kori (With PBS – Irugu Porugu)’, Go Go Gongunra (with PBS – Devanthakudu)’ among others and all Kannada melodies from movies like Swarna Gowri, Sati Savitri, Mahatma Kabir, Chandra Kumara will remain in our memories for ever ..
Sincere tributes to beauty queen of yesteryear … Thanks to her wonderful screen presence which gifted many great moments to Indian cinema ..! !